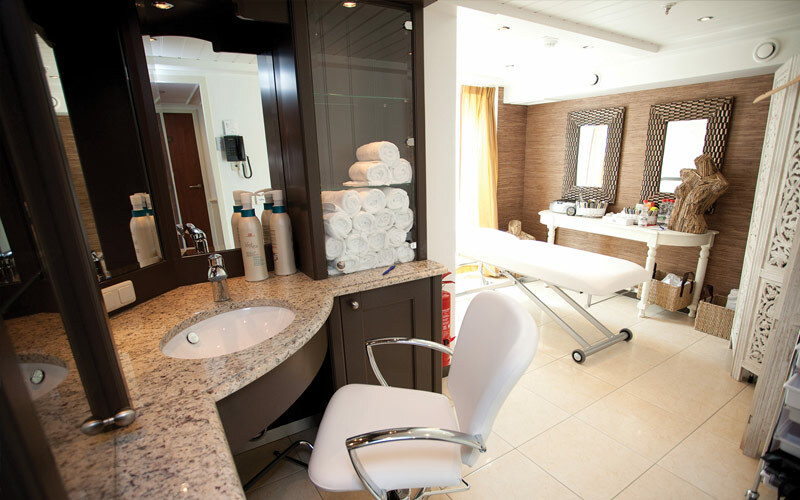 "Dolce" means sweet in Italian, and you will be living the sweet life on AmaDolce. 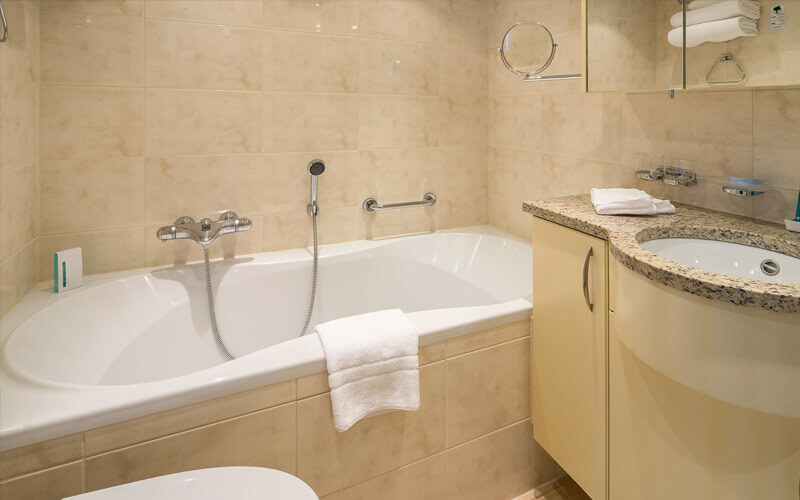 Staterooms, festooned with comforting tones of caramel and honey, are filled with complimentary bath products and a cloud-like bed. 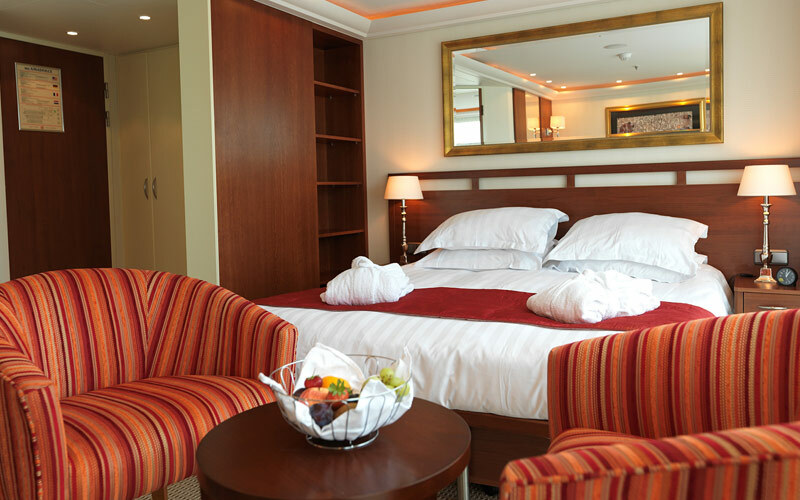 If you can tear yourself away from that bed, your French balcony awaits, opening your room to the refreshing river breeze and breathtaking scenery. 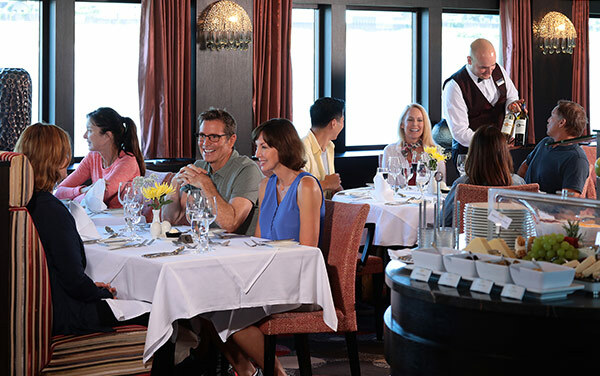 Meals, enjoyed in the Main Restaurant or The Chef's Table, will transport your taste buds onto the shores of the very rivers you cruise on an AmaWaterways gastronomic journey of a lifetime. 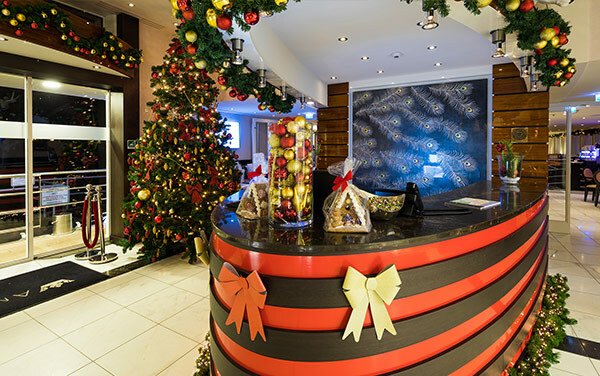 If a vacation like this sounds like something you need, call The Cruise Web today to learn more about living the sweet life on AmaWaterways' AmaDolce. Watch a skit relating to local folklore or take in a live musical performance by onboard and local musicians. Need an afternoon snack? Or perhaps you need a cocktail after a long day exploring your destination. 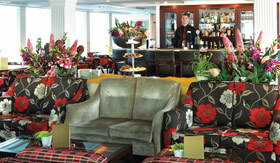 The Main Lounge on AmaDolce is equipped with a full bar and tapas menu. 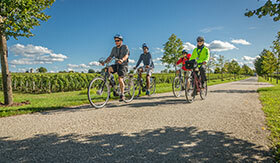 Explore on your own or take a guided sightseeing tour by bicycle. But don't worry, AmaDolce is equipped with a full fleet of bikes for free passenger use. 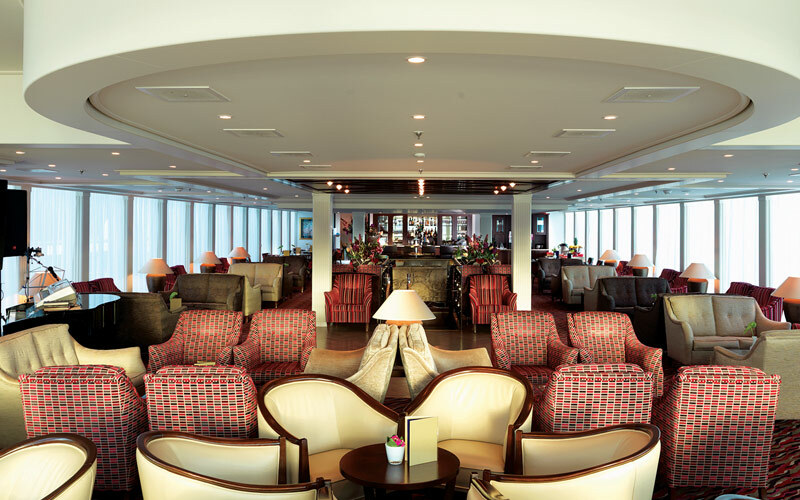 Kick back and relax with a drink in your hand as you sail past ancient castles and delightful towns. 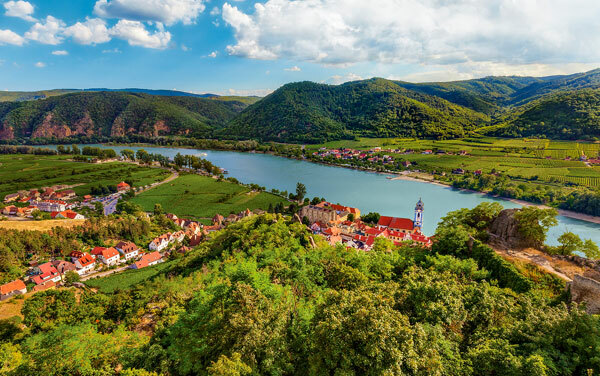 Centuries old castles, thousands of years of history and some of the best regional cuisine await you on your AmaWaterways river cruise in Europe. 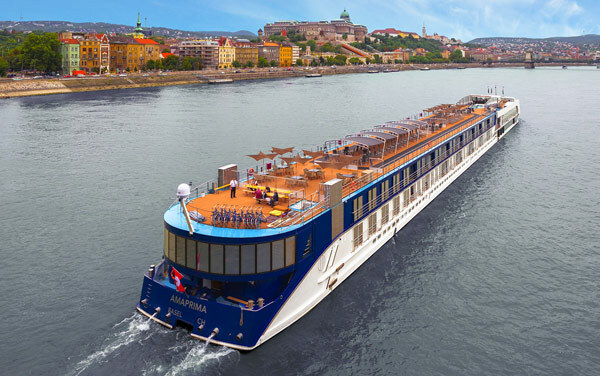 AmaWaterways river cruises depart from incredible cities in Europe, Asia and Africa, offering convenient—and luxurious—access to new cultures, historic towns and scenic landscapes. 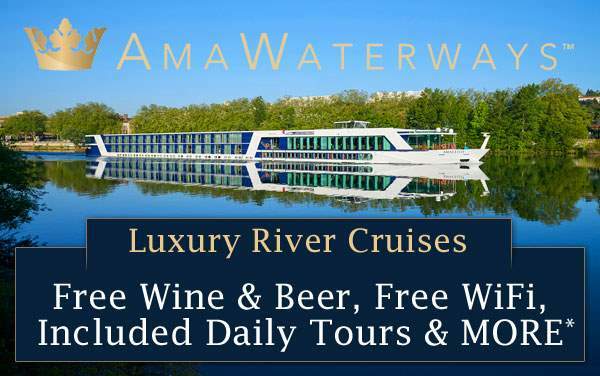 AmaWaterway’s European river itineraries depart from cities like Amsterdam, Basel, Bordeaux, Budapest, Lyon, Nuremberg, Paris and Porto, just to name a few. For more exotic river escapes, you could depart from Cape Town, Ho Chi Minh City or Kampong Cham. 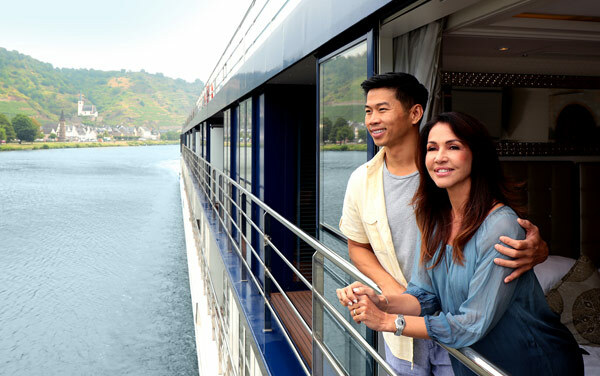 For many of these departure ports, which are worthy destinations themselves, you even have the option to add pre-cruise extensions to see even more of Europe, Asia or Africa and get an earlier jump on your vacation! 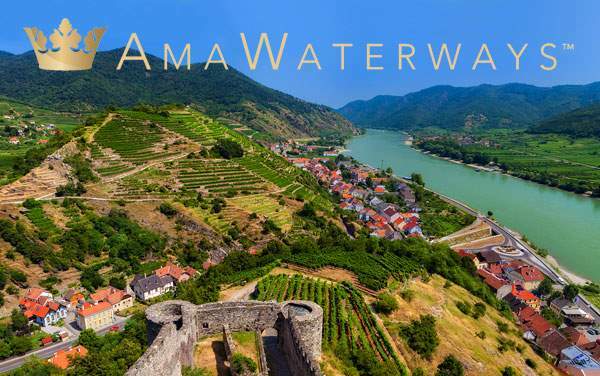 Continue below to view the current departure ports for AmaWaterways’ river cruises, and call 1-800-377-9383 to speak with one of our experience cruise consultants to start planning today. 170 sq ft, Fixed Windows, Piano Deck. 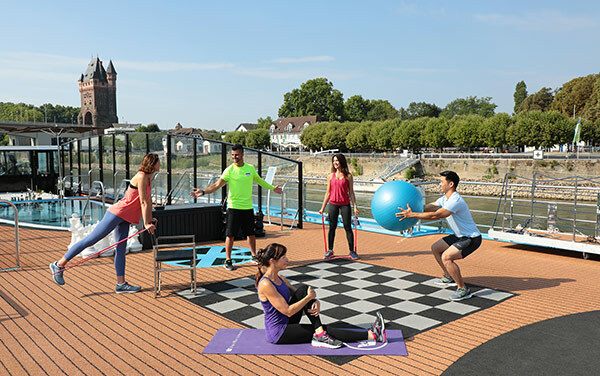 Browse our AmaWaterways image library, which offers a glimpse into the river cruise line’s amenities, experiences and destinations. 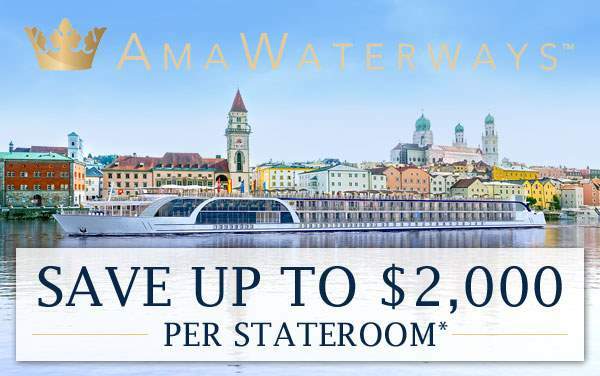 Keeping in mind that this is merely a sample of the luxurious benefits of cruising with AmaWaterways, continue through our photo gallery to see what sets AmaWaterways river cruises apart from other vacations! 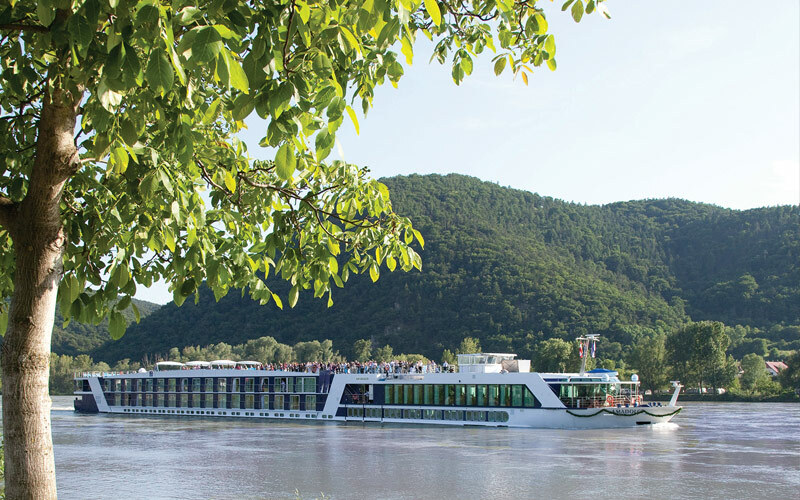 AmaWaterways strives to deliver an unrivaled river cruise experience, which includes making accommodations for guests with special needs. 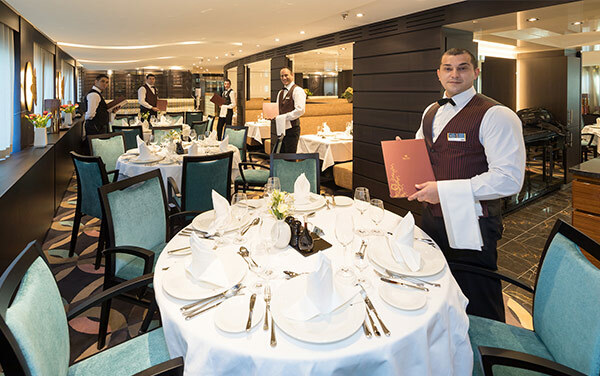 Preview the exquisite regional cuisine offered by AmaWaterways, internationally recognized by La Confrerie de la Chaine des Rotisseurs. 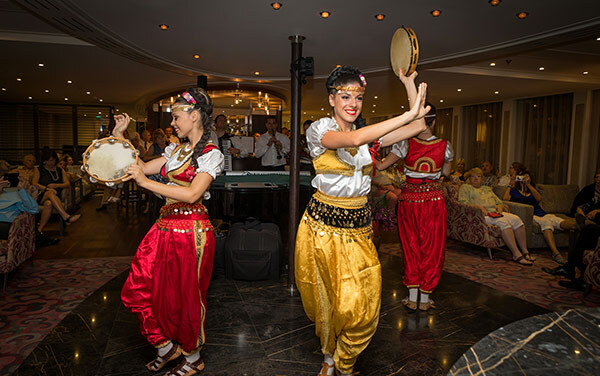 Learn about the onboard entertainment provided by AmaWaterways, including live music, traditional Bavarian folklore performances and more. 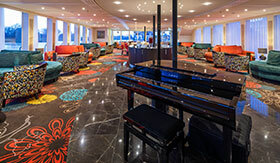 AmaWaterways’ immersive river ships are designed to immerse you in our destination, but they still offer plenty to do on board, including a pool, spa, library and lounge with nightly entertainment. 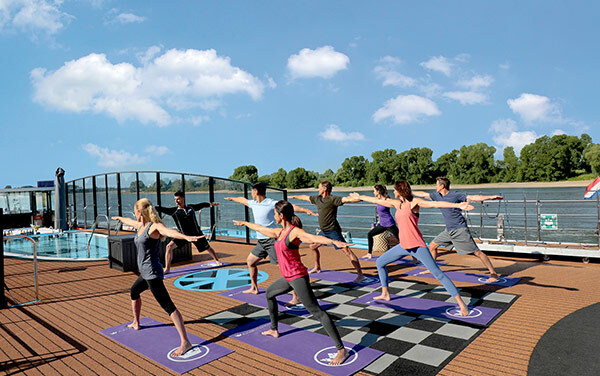 Relax and rejuvenate on a river cruise with AmaWaterways, where wellness and pampering are always just a few steps away. 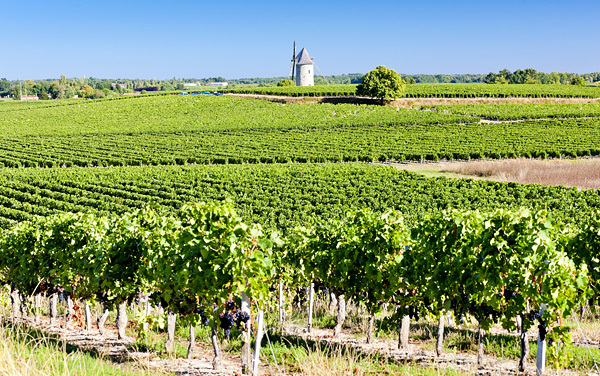 Golf lovers, foodies, wine enthusiasts and world adventurers can all find a special river cruise on AmaWaterways that highlights distinct interests. 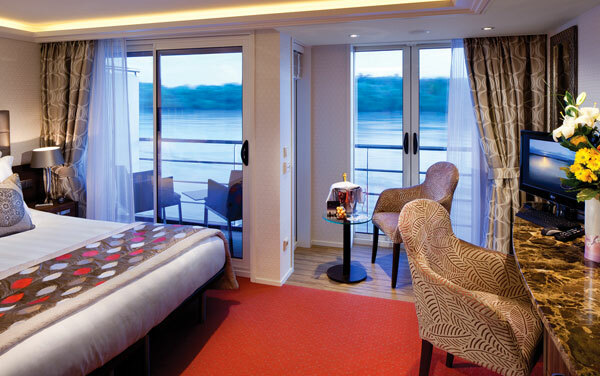 Preview AmaWaterways’ well-appointed accommodations, many with twin balconies, and learn about the luxury river cruise line’s wonderful amenities. 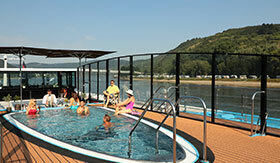 Learn why AmaWaterways could be perfect for your next family cruise vacation or multi-generational getaway.